As the article says Lewis the guide dog is handsome, friendly, professional and hard-working. But he is, alas, a canine, and he’s recently been the victim of doggie discrimination by the rideshare service Uber. 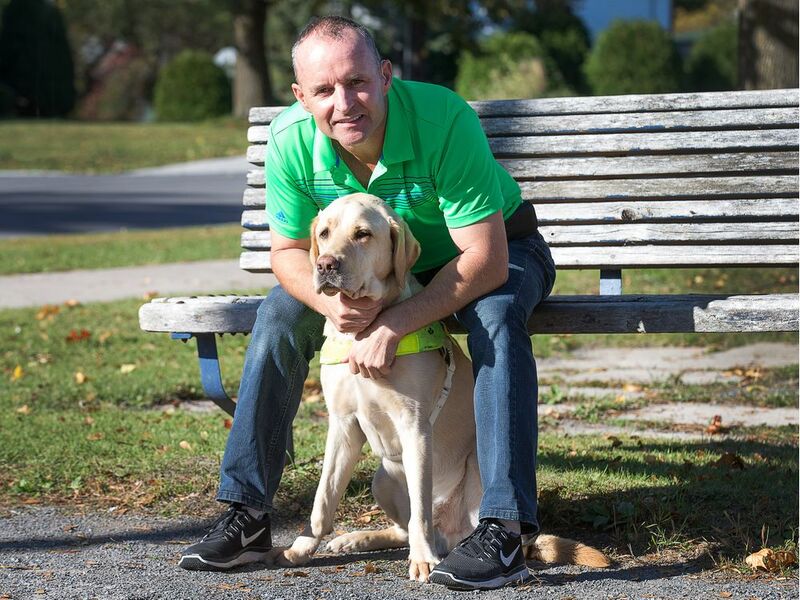 According to Lewis’s owner, Kevin Frost, Uber drivers have balked at transporting the guide dog on three different occasions in the past month alone. The fact that Frost, who is legally deaf and blind, booked his rides using UberAssist, which supposedly caters to disabled travellers, makes this all the more bewildering. Frost says that in the first instance, an approaching driver saw him with Lewis and simply took off. On two other occasions, drivers at first didn’t want to transport the duo anywhere. But Frost is, well, a dogged sort, and he patiently explained the law. Eventually, the reluctant drivers overcame their prejudice against four-legged passengers long enough to get him and Lewis to their destination – though one driver was still “arrogant,” according to Frost.